Nestled between a 1300s castle, pine forest, chic marina and the beautiful city of Palma, is the 5-star GPRO Valparaiso Palace and Spa. This sprawling complex not only offers a fabulous location but boasts an array of swimming pools with stunning waterfalls and tropical gardens. For travellers looking for a slightly more active break, there are several tennis courts and a fully-equipped gym or for those who would rather relax, why not spend some quality ‘me’ time at the spa or around the nearby marina! Several beaches are within a short distance of the hotel with the stunning Punta des Grells boardwalk nearby access to the sea. 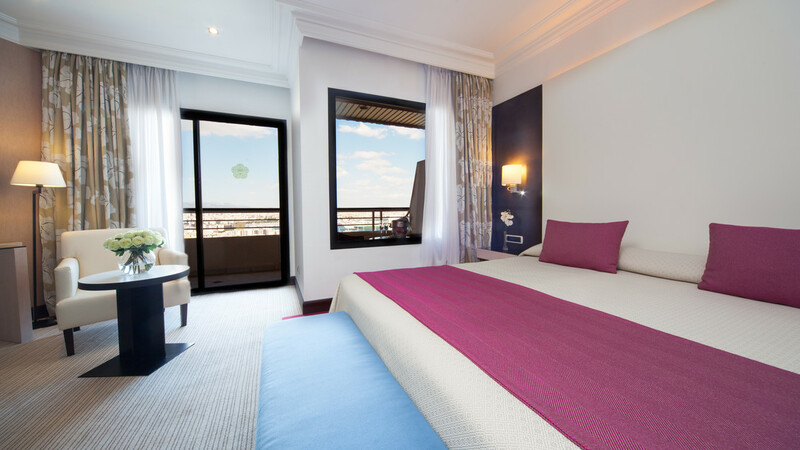 The GPRO Valparaiso Palace and Spa is situated just outside the city of Palma, meaning it is surrounded with shops, bars, cafes and local attractions. Palma de Mallorca Airport is approximately 15km away from the GPRO Valparaiso Palace and Spa.